Wonderful insight. Thanks for sharing. thank you for response. yes I read this..
Ek sawal main karu kya? Can I take a power nap on my work chair, if there’s no work and no visitors around? Well…wasn’t aware of any scientific explanation. Thanks for the information! I am glad with your comments.. thank you..
Dhiraj..? was it the same blog which you used earlier..? oh my God…such a long name…Earlier you were using dhirajanand.wordpress.com.. It’s not existing now..changed to this..? Yup it is. We can feel it too. but how can we feel it..? We can feel when you sleep in the direction mentioned by your grandmom, you can feel the energy loss next day! yes .. I know.. i was just kidding..
All those ganesha stories from the myths..! 🙂 I’ve also heard/read that even our body has a north and south. 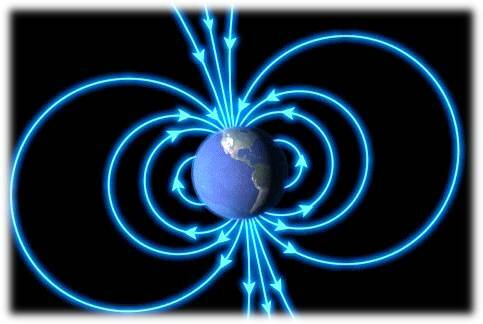 So when we sleep with the north of our body (head region) towards the north of the earth, it repels. So north south sleeping. While sleeping the other way round it, since it is a case of opposite poles attract is a better position ..
Hi Akhila..how are you ? ehh.. do you sleep diagonally.. Yes it surely has something thing to convey. Mythology and science have face face off every now and then. i dont worry much about vaastu but few things which gives me scientific reason are to be considered . Same pinch, Akhila! My grandmother told me that too and I obediently obeyed without questioning ‘why’? It was a death in the family that caused my father to explain the real reason behind it. Thanks for the reminder and the informative post! good morning Pranitha…may be our grand mothers were friends..
Could be, no? Or all grandmothers in Kerala are pretty much like minded ! welcome Sweta…so do you obey it..
Good and informative post and yes there is a scientific reason for all this and the old people knew so much in depth knowledge. Great post. Yes and even with regards they know best and sometimes doing home remedies is always the best. The normal practice and Sunnah of the Messenger of Allah (saws) was that he would sleep on his right side with his right cheek resting on the right palm of his hand. I don’t know about the magnetic field logic…but yes we were told never to keep our feet in south while sleeping. It is bad vastu wise. Guess there’s logic behind it afterall. Same here. I heard it from a few people but no one knew why. The rules laid down by our ancestors always had a scientific reason behind it…..only they didn’t know how to explain it well. Very true…they didn’t know how to explain and neither we give a try …or ended up those gool old sayings in a mess. there is significant amount of magnetism on the surface, and the brain activity is through flow of ions……..also every synapse is practically current flow……and there is iron in blood………and there is a force on current carrying conductor in a magnetic field…………..so to simplify……..i sleep in east west direction, except at hotels, they get angry when you move the furniture….. There are soo many things which people say and few are good but reasons are still unknown! Thanks for sharing. In fact we are surrounded by an ocean of waves. Mobile waves micro waves …. logical thoughts, ma’am…. now i know!